Have you been procrastinating? We all do it. Wash day can sometimes feel all too overwhelming and you put it off like hitting snooze on your alarm clock. But hit snooze one too many times and your hair will reward you with dry, undefined curls and coils with no shape or bounce. 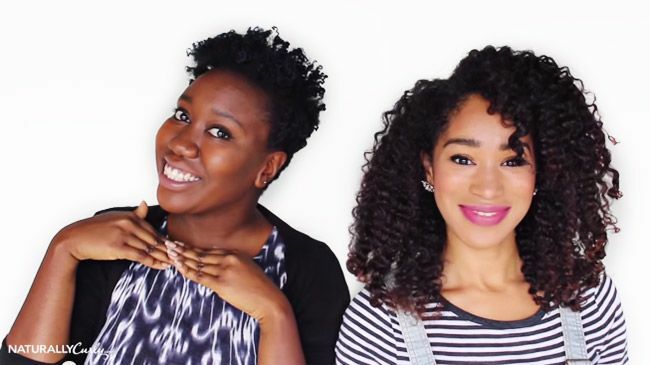 When NaturallyCurly editors Evelyn and Nikki skipped a few wash days their hair got a little... out of control. They have two different hair types so it took a few different products and techniques to bring them back to the Evelyn and Nikki we know and love, but you can watch how they transform an old 'do into something fancy and new with the new Design Essentials Coconut and Monoi line. This article is sponsored by Design Essentials.